Whether looking to stay elegant and classic, or fun and trendy, invitations set the tone for your entire wedding. Check the infograph below from Loyes Diamonds for tips and must have information when customizing your wedding invitations and stationery! 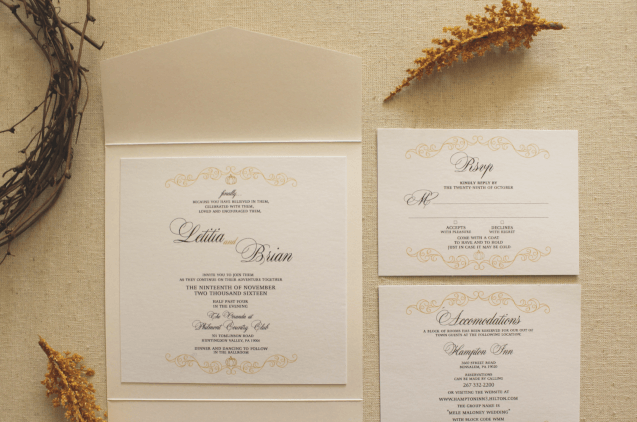 RentALL Affairs offers custom invitations, and coinciding wedding stationery. Stay classic with a simple invite inserted in a laser cut pocket, or show your fun side with a brightly designed invite bundled in a pocket folder. Finish it off with printed designed envelopes for a seamless and easy process.